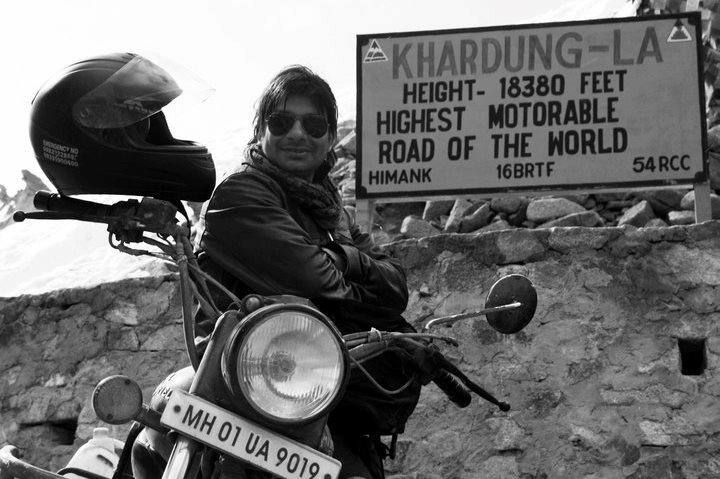 Rahul Upadhyaya aka Headlight, Botany, The spiritual one…started riding(bullet) a after moving to Mumbai from pune in 2008 ..and did small 100kms ride with a close friend who was a Beaster(the Delhi club). We were introduced to the Inddiethupers in 2008 itself and started riding with them from the MahaB ride of anniversary…since then no looking back…Post that have done rides wearing the thumper badge like Runn of Kutch..solo..udaipur ( solo) 3 ashtvinayaks..2 kumbharli ghats…1 gaddha mania..1 panhala..malshej..and few more that can remember as such..the longest distance that I did with the club was Mumbai to kolkata(my hometown) for Rider mania east..did ladakh in 2011 .. In between I went ashtray and joined another club…but realized once a thumper always a thumper and missed the warmth..and brother bonding..so like a Khota sikka came back to thumpers..and they welcomed me back like a family welcoming a lost child..